Enphase Energy, Inc., a global energy technology company, has taken a major step forward with the launch of Envoy-S. The next-generation Envoy-S gateway serves as the control of the Enphase Energy Management System, an integrated, scalable platform for solar generation, control, energy management and storage. Featuring enhanced hardware and software, the new gateway enables more cost-effective and reliable solar installations while adding significant value for system owners. Envoy-S provides energy usage insights, remote update capabilities and load management. 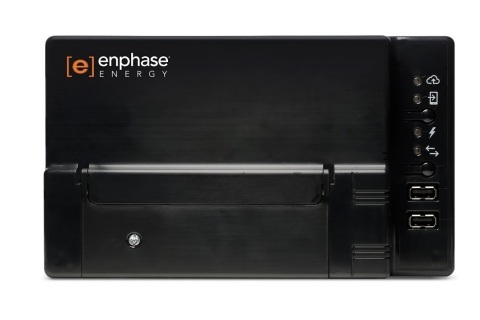 Designed to work with all Enphase microinverters, Envoy-S features consumption monitoring, revenue-grade metering, integrated Wi-Fi and flexible networking options and optional AT&T cellular connectivity via AT&T's Internet of Things (IoT) technology. "As a key part of our intelligent home energy solution, Envoy-S provides consumption insights that allow consumers to manage their energy use more efficiently," said Stefan Zschiegner, vice president of product management for Enphase Energy. "In fact, the Enphase Energy Management System is enabling new partnerships that result in an advanced ecosystem for the clean energy economy." "The number of distributed solar installations continues to grow exponentially in the wake of falling costs," said MJ Shiao, director of solar research at GTM Research. "By building an infrastructure that provides sophisticated interaction with these grid edge assets, the solar industry can deliver significant additional value to energy consumers and utilities alike." Enphase is also introducing the AC Combiner Box, the most effective way to maximize the features and benefits of the revenue-grade metered Envoy-S. The device helps cut solar installation time by as much as 50 percent, and reduces interconnection and communications equipment costs by as much as 20 percent. The AC Combiner Box is an outdoor-ready enclosure built to withstand exterior weather conditions. In addition, Enphase offers Enphase Mobile Connect™, a cellular modem with service provided by AT&T IoT technology that delivers consistent and independent Internet connectivity. To ease the process of installation, Mobile Connect is integrated into the Envoy-S through the AC Combiner Box. Installers can now ensure reliable Internet connectivity is consistent and reliable independent of the Internet setup in the home. To further improve operational efficiency, Enphase offers the Installer Toolkit mobile app for smart phones or tablets. Using the toolkit, installers can quickly and easily configure an Enphase system, commission Envoy-S and confirm a successful solar installation. Enphase will be showcasing the Envoy-S and all the components of the Enphase Energy Management System at Solar Power International 2015 (Booth 3 - Grand Plaza), which takes place September 15-17 at the Anaheim Convention Center. Training sessions will be offered at SPI. In addition, Enphase is also taking its operational efficiency roadshow to the solar installer community in more than 30 locations throughout the United States. The Enphase Envoy-S will be available in North America starting in Q4 2015. For more information on the Envoy-S, the AC Combiner Box and the Enphase Energy Management System, contact an Enphase representative. 0 comments on "Enphase Energy Launches the Next-Generation Envoy-S"